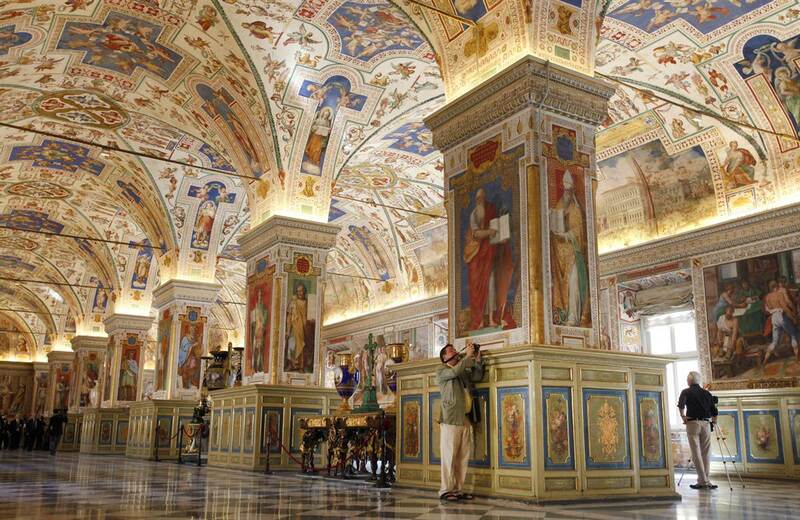 In September 2010, the magnificent and extremely ancient Vatican Apostolic Library reopened after a period of renovation. First opened by Pope Nicholas V in 1448 (the Pope wished to share his books and manuscripts), the library contains centuries of undiscovered and unknown works. It is not open to the general public — one needs to be an academic or a student to gain entry. In this story, Paolo Vian, chief of the manuscript division, talks a little about an early work of Spinoza which was recently discovered in the library (he notes that one of the reasons it was not discovered earlier was that it was not signed by the author, or otherwise so designated). There are other discoveries waiting to be made in this vast repository. Vian mentions about 200 verses of a comedy by the Greek dramatist Menander which were recently found, as well as a seminal 1615 work by Tommaso Campanella, “L’ateismo trionfato” (“Atheism Defeated”). The treasures, the real ‘secrets’ of a library or of an archive are not discovered by pushing a button. One requires a long and burdensome patience which, as in the case of [Spinoza’s] Ethics, puts together separate elements, re-knots shredded strands, sees value in minute and almost invisible clues. One needs the patience and tenacity of someone in love and only then can one reach one’s goal.